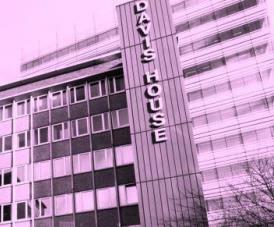 Davis House serviced offices is located in Croydon, Surrey and is close to good transport links to London. The Business Centre is surrounded by great amenities including bars, shops and a selection of restaurants. With a large reception at the entrance, there is also a seating area for visitors where on-site staff can meet and greet for you. Within the building there are a number of office configurations to choose from all of which are completely furniture and have access to internet and phone lines. Meeting rooms in the property are fully equipped and can be hired as and when needed. Benefitting from bicycle storage facilities, this office for rent can be accessed at any time during the day which is ideal for out of hours working.